Bestway Building is just a stone's throw away from the Tanjong Pagar MRT station. And, there is a food court right in this building serving our usual local fares like Prawn Noodle, Yong Tau Foo, Laksa and even Nasi Padang. The famous Mellben has an outlet here too. 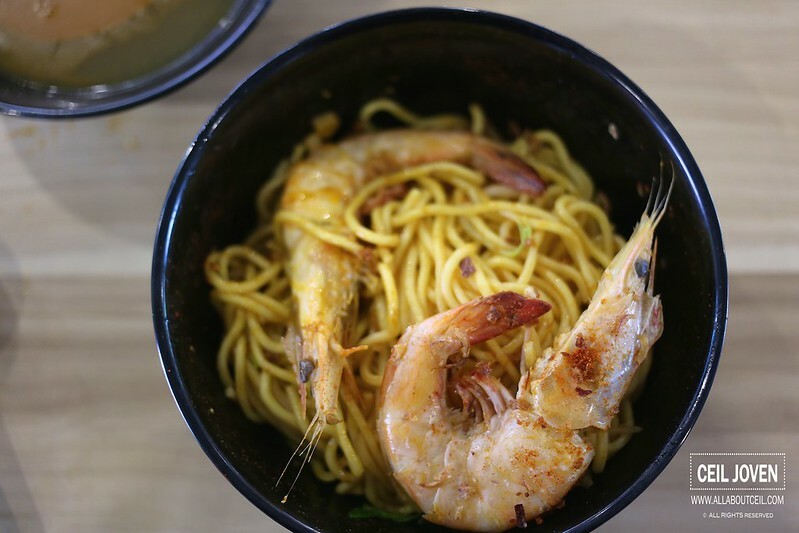 Hong Yuan Prawn Noodle is the newest stall amongst them, serving the dry and the soup Prawn Noodle starting from $5 to $12 depending on the numbers and sizes of prawns. 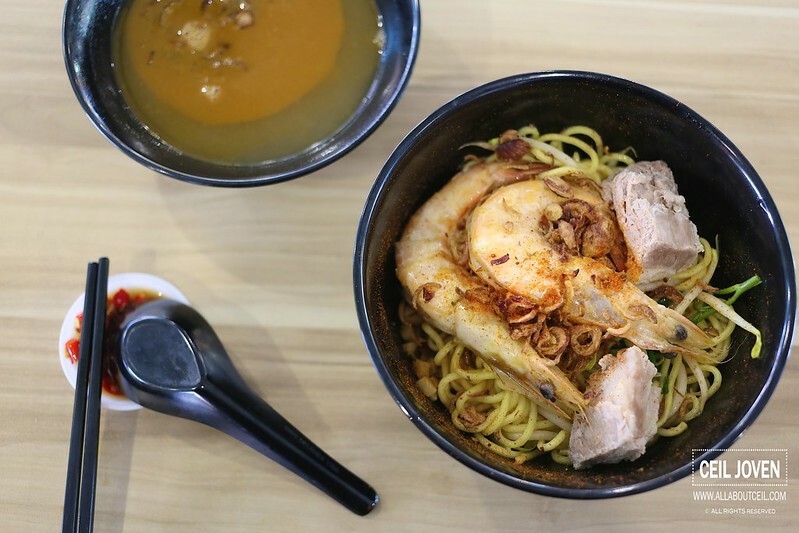 You could also choose to have it with pork ribs or just Pork Ribs Noodle at $5. Though it has stated on their facebook page that they would be ready by 11 am but it was not so when i was there. I was even asked to take a walk and come back in 10 minutes by one of the 2 friendly aunties. 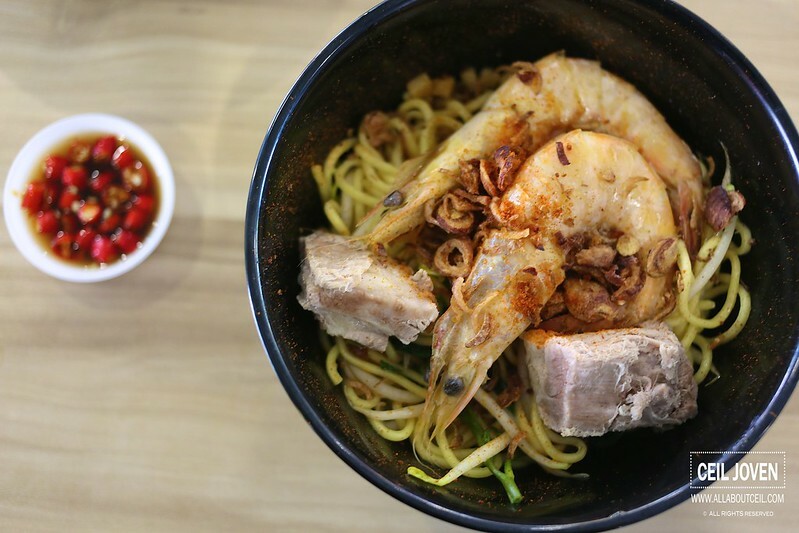 I decided to go with the basic bowl of Prawn Noodle with Pork Ribs at $5. As i was their only customer then, my order was served quickly. I chatted with the Aunties for a bit. I was told this was their second week and they are still find-tuning on details like their operating hours. According to the aunties, the lunch crowd only started to come in from 11.30 am onward and that is why they did not open on time. I was warned that the texture of those pork ribs might be a bit too tough when they placed the bowl of noodle on my tray. This was a fresh batch of pork ribs that they just prepared in the morning as the previous batch was sold out yesterday. I have also been told that the prawns were those that left over and that is why it was bigger than the usual size for the $5 portion. The auntie walked over and interrupted when she spotted me taking pictures of the noodle. She said i could have tell her that i wanted to take pictures and she is willing to cook an extra bowl just for that purpose. She said the texture of noodle and taste of soup might be compromised if i did not eat it immediately and she did not want it to affect my opinion. She only walked away when i told her i am about done with the pictures. I tossed the yellow noodle slightly and had my first mouthful. Though i requested to have extra chilli added but it did not taste as spicy as i would like it to be. The chilli tasted good though, i could tell they have made an effort to fry it well to release the delightful fragrance and they added dried shrimps to enhance its flavor too. The texture of noodle was cooked just right with a slight chewiness. And, the prawn tasted rather fresh though. The let down has to be the 2 pieces of pork ribs, the texture was really hard and not flavorful. Eating it itself was a challenge. 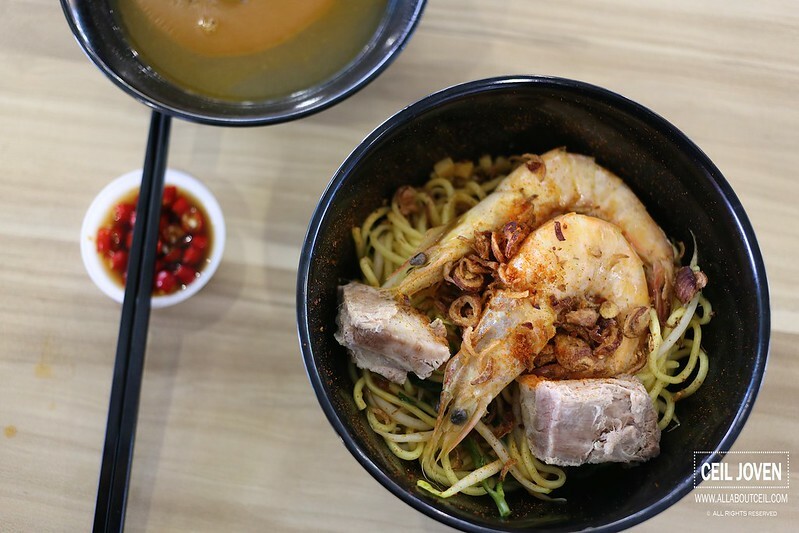 If i have been told earlier that it was a fresh batch of pork ribs, i would likely to just go with the Prawn Noodle. 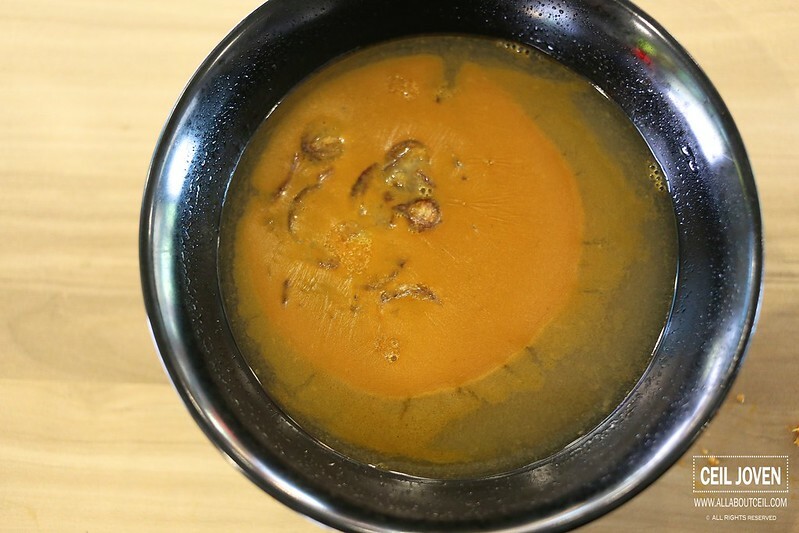 The soup was full of concentrated prawn flavor, it was good even after it was left to cool down. Overall, it was quite promising. It is definitely worth a try if you are working in Tanjong Pagar or happen to be in this part of town.